How do I obtain proof of the disposition of my charges? How do I obtain a name change? I have questions about Restitution. How do I find out if I have any warrants or attachments? How do I protect my credit when I’m the victim of identity theft? Are there any additional steps I can take as a victim of identity theft? What are some clues that a check may be fraudulent? What should I look for to detect a bad check? How do I file a complaint with the District Attorney? What if a Defendant wants to reschedule a hearing? What if I miss a court date and I am a defendant? Can a defendant discuss a case before their first court appearance or the pretrial conference? Why is the DA’s office often unable to discuss a case prior to court appearance? Why won’t the prosecutor talk directly with a defendant who is represented by an attorney? What if I’ve been subpoenaed as a witness on a case? I am the victim in a case, and I want to drop the charges. What should I do? What is the Research and Appeals Department? Are there other types of “appeals”? First, obtain a background check or review of record. Background checks are in the Bureau of Investigations Department. See http://www.lsp.org/technical.html for more information. If you need a copy of a police report or accident report, see Central Records Department at 504.363.5590. 1233 W.B. Expwy, Bldg. A, Harvey, LA 70058, Bureau of Investigations Department at 504.363.5590. Second, come to the District Attorney’s Office in person with your background check or review of record and proof of ID. Our Screening Department will provide you with proof of Disposition of Charges. How do I process the expungement of my record? located at 1233 Westbank Expressway, Bldg. A, Harvey, LA 70058. Third, you need to obtain any necessary letters from the District Attorney’s Screening Unit. Fourth, file all paperwork with the Clerk of Court, including the expungement packet, the background check and any letters obtained from the District Attorney’s Office. The background check must be current as of 30 days of filing for the expungement. Second, you need to bring a copy to our Screening Department to get the answer to your petition. Clerk’s office fees are available on their website http://www.jpclerkofcourt.us. Any questions regarding restitution should be directed to the Office of Probation and Parole, 504.361.6730. Contrary to what is often suggested, anyone can be a victim of identity theft regardless of age, race, socioeconomic status, or profession. While many people believe that it is through something very sophisticated like a computer system, the most common means are as simple as stealing mail, going through trash, and employees stealing company records. Report the crime to your local police department or Jefferson Parish Sheriff’s Office. Contact the three major credit reporting companies. Ask the credit bureaus to remove inquiries generated due to the fraudulent accounts and to remove the items that are due to the criminal activity of the identity thief. ATM cards: Report stolen ATM cards. When you get a new card and account number, do not use the same password as the stolen card. Checking: If your checks have been stolen or fraudulent information has been provided to a bank, notify the bank and appropriate check verification companies and place a stop payment on any outstanding checks you did not write. Driver’s License: If someone is using your driver’s license number as identification for bad checks, contact the Department of Motor Vehicles to issue a fraud alert. Request a new license number and fill out a complaint form. Long Distance: If your long distance calling card has been stolen, call the carrier to cancel the account and open a new one. Also, call if you discover fraudulent charges on your bill. Passport: Notify the nearest regional passport office to prevent the use of your name in a fraudulent passport. Small claims or civil judgment: If a civil judgment has been entered in your name for actions taken by the identity thief, contact the court where the judgment was entered and report that you are a victim of identity theft. If you are wrongfully prosecuted for criminal charges, contact the state Department of Justice and the FBI to ask how to clear your name. Social Security: Order a free copy of your personal Earning and Benefit Estimate Statement from the Social Security Administration and check it for accuracy. Notify the SSA of any fraudulent use of your number. Stolen Mail: Notify the Postal Inspector of any fraudulent use of your name via the mail. Finally, consult an attorney to determine legal action you can take against creditors and credit bureaus if they refuse to remove fraudulent entries from your credit report. Call your local parish bar association for a referral to an attorney. Avoid post-dated checks; stop-payment checks; two-party checks; checks that are more than one year old; checks for less than $5; checks for which partial payment has been received; checks given in exchange for a returned check; checks marked “refer to maker,” “drawn against uncollected funds,” or “unable to locate amount;” checks that do not identify who accepted it; checks not presented to the bank within 30 days of issuance; and, checks for which no 10-day notice was given. Is the check properly dated? Checks must be dated the same day they are issued. Worthless checks which are post-dated cannot be prosecuted. Is the signature legible? Do not accept checks previously signed, as pre-signed checks often are trouble. Have the person giving you the check sign it in your presence and compare the signature with photograph identification, such as a driver’s license. Driver’s licenses are best, as are military identification cards. Complaints may be filed in person or by mail to Worthless Check Section, District Attorney’s Office, 200 Derbigny St., Gretna, LA 70053. Include a complete affidavit, the original check and certified documentation returned by the Post Office. A PDF version of the affidavit can be found on our Worthless Checks Section page. Please use black ink when filling out the affidavit. See our Worthless Checks Section page by clicking here. The District Attorney’s Office does not have the power to reschedule a hearing. Only the court can grant a continuance of a hearing. The court cannot do this until the defendant makes a formal written request. A defendant who wants or needs to reschedule a hearing, needs to make a formal request to the court and provide a copy of that request to the DA’s office. The DA’s office does not prepare or file a request with the court on behalf of the defendant. This is solely the defendant’s responsibility. People often contact the clerk’s office to request to reschedule a hearing. Occasionally, the court clerks refer the people to the prosecutor’s office. As indicated above, the prosecution does not have the authority to continue a hearing. If you failed to appear for your arraignment or trial, you must appear as soon as possible at the original division of court and time you were assigned to enter a plea or make arrangements to have your trial rescheduled. In this situation, a contempt of court fee may be applied to your case. In addition, an attachment will be issued for your arrest. 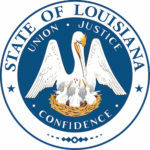 In addition, if you fail to appear in court for a traffic citation, your traffic citation information will be forwarded to the Louisiana Department of Public Safety, which will result in suspension of your driver’s license and additional fees. Many defendants will contact the District Attorney’s Office immediately after they receive a ticket or after their first court appearance to try to discuss the case with the prosecutor. This is normally done in an attempt to avoid having to appear in court. In nearly all cases, practical considerations keep the prosecution from resolving a case before a pretrial conference. The District Attorney’s Office cannot make an appropriate decision on what to do with a case until all the information about the case has been gathered. Two common misconceptions defendants have are that the District Attorney’s Office knows immediately when a citation has been issued and the office has access to the information about the incident the day after the citation has been issued. Law enforcement agencies do not automatically provide a copy of a citation or a police report to the District Attorney’s Office. The office will not become aware that a citation has been issued until the law enforcement agency that issued the citation forwards the citation or arrest report to the office. Another consideration that makes it difficult for prosecutors to talk to defendants in advance of pre-trial conferences is that the prosecutors handling the misdemeanor cases have very large caseloads. Anywhere from 30 to 40 cases are set for trial daily. Combined with other work assignments, it is not realistic to expect that the prosecutor assigned to the case has the time available to obtain information about a case outside of the normal protocol for gathering the information. Although exceptions are made for emergency situations, defendants seeking to discuss their case before their pretrial conference will need to wait until their pretrial conference to speak with the prosecutor. If you are a defendant and are represented by an attorney, the District Attorney’s Office cannot communicate with you directly outside the presence of your attorney. Please make arrangements with your attorney to speak with the District Attorney’s Office. The Louisiana Rules of Professional Conduct prohibit an attorney from discussing a case with a party who is represented by an attorney. A prosecutor can face sanctions or have his law license revoked if he discusses the case with a defendant he knows to be represented by an attorney. The defendant’s attorney can give consent for the prosecution to talk to the defendant without the defense attorney present. This occurs in very rare circumstances. The prosecuting attorney will usually decline to talk to the defendant in such a situation unless the defense attorney’s consent is in writing. A subpoena is traditionally defined as a command to appear at a certain time and place to give testimony regarding a certain matter. If you are served with a subpoena and have questions, or are unable to attend on the date specified, you must contact the agency or attorney that subpoenaed you. If you are a state witness and you cannot attend court as a witness on the date stated in the subpoena, you should contact the District Attorney’s Office immediately to discuss your conflict. In some cases, the prosecutor handling the case can put you “on call” so that you can go to work or school on the day you are subpoenaed. In such cases, you will be called at a pre-arranged phone number an hour or so before you are needed in court. 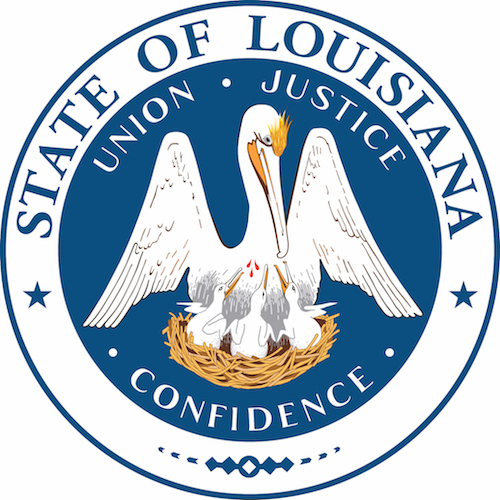 Crimes are charged by the District Attorney’s Office on behalf of the People of the State of Louisiana, not on behalf of the victim. The decision to dismiss charges can only be made by an attorney in the District Attorney’s Office. If you are the victim in a case that has been filed and you wish to have the case dismissed, you should discuss your reasons with a representative of this office. Your request and the reasons for it will be considered, but the final determination as to whether or not charges will be filed or dismissed can only be made by an assistant district attorney. The Research and Appeals Department does the legal research necessary to write briefs—legal arguments—when a case goes to an appellate court after proceedings in the trial court have concluded. The department also researches the law to help the assistant district attorneys who handle cases in the trial court. An appeal is a proceeding in which a person convicted of a crime has a right to have a higher court review his case for error in an attempt to have his conviction reversed or to have his sentence reduced. In a criminal case, generally only the person convicted of a crime may appeal. The District Attorney’s Office cannot appeal a verdict of not guilty because of the double jeopardy prohibition in the Constitution. A person convicted of a crime has 30 days after he is sentenced to file for an appeal. At that point the court clerks and court reporter begin compiling the record to send to the appellate court. How long this takes depends on how long the trial lasted and how big of a backlog the clerk and court reporters have. When the record is completed it is sent to the appellate court. At that point the briefs of the defendant and district attorney should be filed within approximately two months. The court may hear oral argument in the case about one month later and render its ruling within two months of the argument. The appellate court’s opinion will become final unless the defendant or the district attorney, within 30 days, asks the Louisiana Supreme Court to review the case. If the happens it may be another year before the appeal is over. Yes. After a defendant has completed his appeal he has two years to seek post conviction relief in state court. If he is unsuccessful he can ask the appellate court and Louisiana Supreme Court to look at his claims. This request is called a writ. After that he can still seek a new trial or attempt to get out of jail by seeking habeus corpus in federal court. In this proceeding the prisoner will attempt to show that a violation of his federal constitutional rights occurred at his trial. If the prisoner is unsuccessful he can ask the United State Fifth Circuit Court of Appeal and United State Supreme court to review his case.